Michael B. Jordan was on the wish list but is unavailable due to “The Fantastic Four” filming; sources say the film is now leaning toward unknowns to play Dr. Dre and Ice Cube, who are also the producers and have casting approval. Most movies receive a green light then begin shooting. Not Universal’s N.W.A. biopic Straight Outta Compton. Sources say a sequence recently was shot in L.A. in order to qualify for California’s film tax credit, which is set to expire. But Dr. Dre andIce Cube, who are producers on the film about their seminal rap group’s rise, have yet to make a final presentation to the studio’s greenlight committee. That meeting is scheduled for early May, and a go-ahead is not assured given the trouble in finding lead actors. 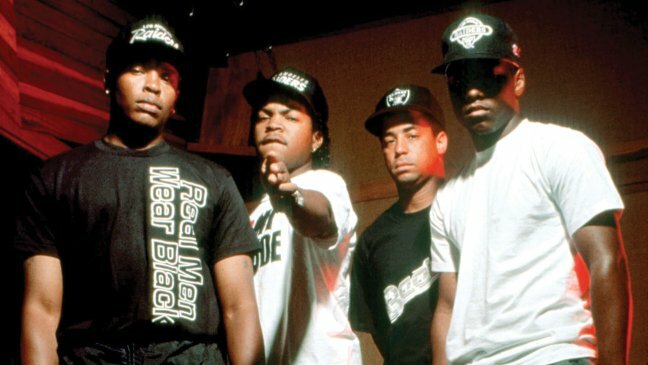 A series of open casting calls held everywhere from downtown Los Angeles to Gardena over the past few weeks has yet to yield a suitable crew to play young Dre, Cube and the late Eazy-E. The principals (including Eazy’s widow, Tomica Wright, who also is producing) have casting approval, and Dre is said to have wanted Michael B. Jordan to play him, but Jordan booked the role of Johnny Storm/The Human Torch in Fox’s The Fantastic Four and isn’t available. Given the time pressure and Straight Outta Compton‘s relatively low budget (said to be less than $25 million), the studio is leaning toward unknowns. Cube was a teenager when the group was formed in Compton, while Dre and Eazy-E were in their early 20s. Universal concedes that the studio has yet to cast a single role but downplayed the significance, insisting that the film is moving toward being greenlighted. As for the sequence that already has been shot, which features the real Dre and Cube discussing their group’s legacy and will unspool with the film’s end credits, a Universal source says it has more to do with getting the busy Ride Along actor’s (Cube) schedule to mesh with the equally busy music producer’s (Dre) than qualifying for tax credits.